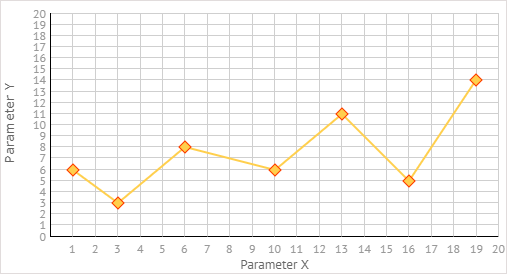 Scatter chart presents a set of points which are displayed based on two coordinates (data values) - one for the X-axis and another one for the Y-axis - provided in a data set. 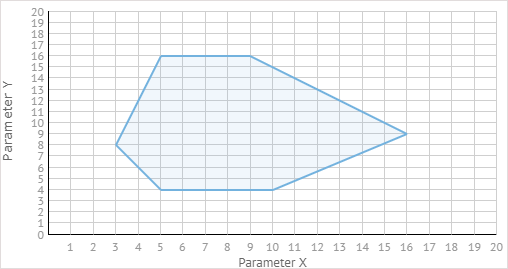 shape (boolean) - if true, draws a shape out of data points connected by lines, false by default. Works in tandem with the disableLines:false option. Chart series allow presenting different graphs within one and the same chart. The graphs differ in color. Settings for the graphs form objects that are placed into the series array. See the common rules of series definition here. With chart series, legend should be used to distinguish between graph values. At the same time, legend markers become clickable and allow you to show and hide dedicated graphs. By default, Scatter chart renders just points presenting data items. 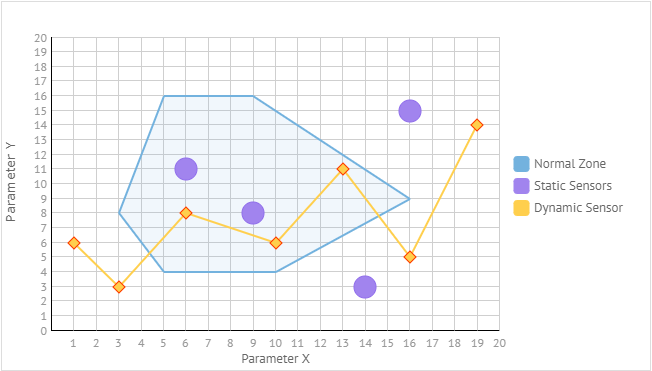 However, you can also render various graphs in Scatter Chart by connecting points by lines, and even draw shapes out of lines. You can connect points of the Scatter chart by lines. A shape presents a set of points connected by lines, where the last point is connected to the first one.